A homeless street artist is facing battery charges after he allegedly stabbed a tourist with scissors. 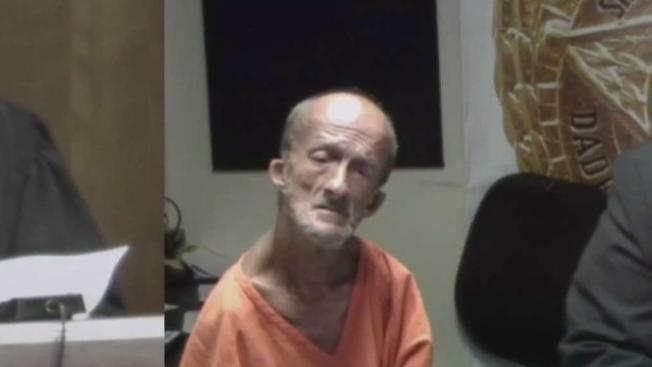 A homeless South Beach artist with no arms is facing an aggravated battery charge after police say he stabbed a tourist using scissors held with his feet. Jonathan Dale Crenshaw, 46, was arrested Tuesday in the 200 block of Lincoln Road, according to an arrest report. Cesar Coronado, 22, was asking Crenshaw for directions when Crenshaw suddenly stabbed him in the arm and fled on foot, a friend of the victim told authorities. Coronado, who is visiting from Chicago, said his vacation began with a trip to the hospital. "I'm not from here, and this is not what I came for. I came for a vacation," Coronado told NBC 6 Wednesday. "I just said, 'do you know where this is?' but as soon as I talked, the only thing he reacted was — he just cut me." Officers responded to the scene and found Crenshaw nearby. Crenshaw said he was lying down when a man came up and punched him in the head, so he pulled the scissors out of a suitcase with his feet and stabbed the man twice to defend himself, the report said. "Why would I go and attack someone else? No, no, I wouldn't do that," Coronado said. "It’s like, how the hell did I get stabbed? Like, is it the right guy at that point? Because I can't believe with his legs someone could do that." Crenshaw said he put the scissors in his waistband and walked off quickly, the report said. He was booked into jail where he remained held on $7,500 bond Wednesday, records showed. Attorney information wasn't available. Crenshaw was profiled in 2011 by the Miami New Times, which showed him using his feet to draw and paint.